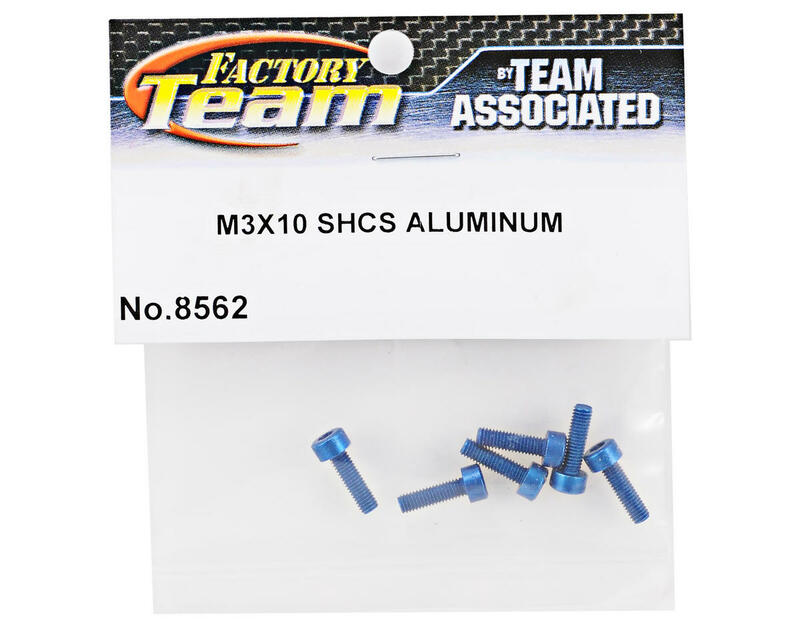 This is a pack of six optional Team Associated Factory Team Aluminum 3x10mm Cap Head Screws, and are intended for use with the Associated SC10 4x4. 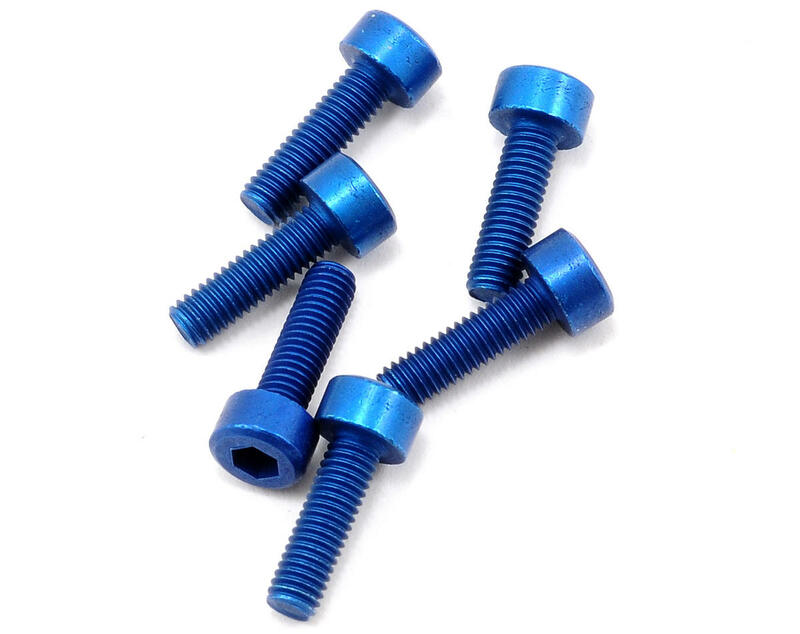 These screws will lighten your truck and add a touch of cool Factory Team blue bling to your podium finish. These screws can be used to reduce weight in any application that requires a screw of this size but are only recommended for use in low stress areas.